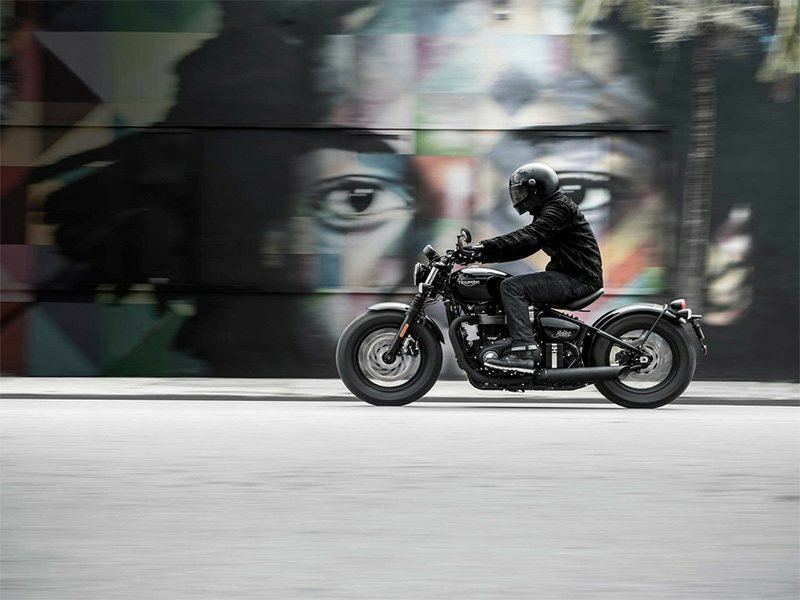 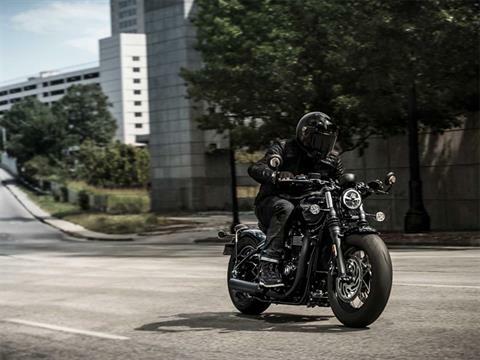 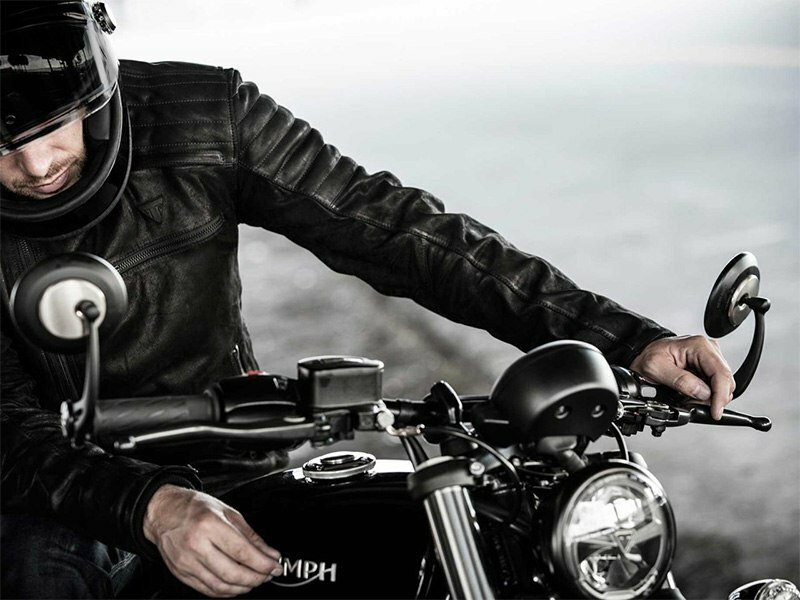 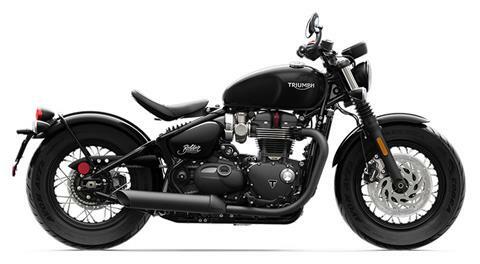 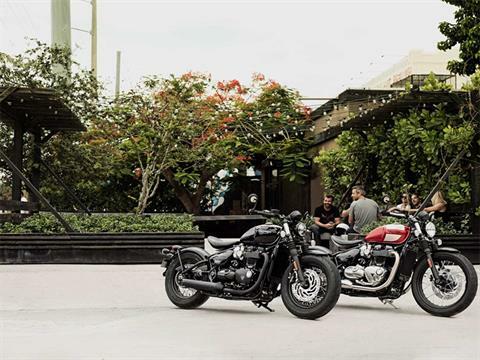 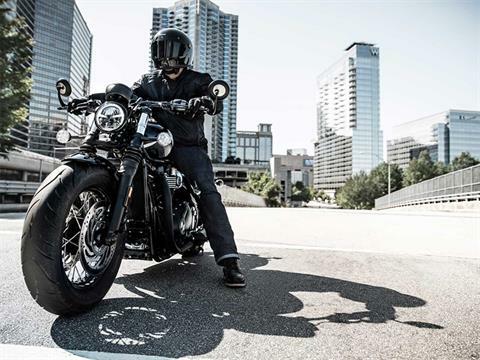 As thrilling to look at as it is to ride, the new Bonneville Bobber Black. Fully blacked-out detailing, high-value badging, and rich unique finishes take the iconic Bonneville line-up to a whole new level. 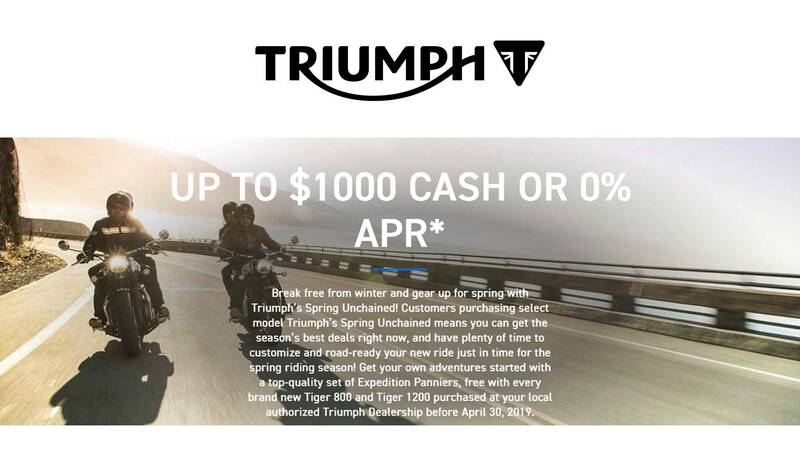 Exclusive additions include black painted slash-cut exhaust, black chrome-plated headlight rim, black hubs, handlebars, engine covers, and a unique black seat pan to provide extra looks and presence for even more attitude, a more aggressive muscular stance, fully blacked out style, and an even higher level of specification.